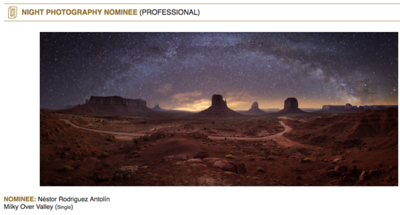 FineArt Photography Awards 2018 - 5 honorable Mentions - Professional. 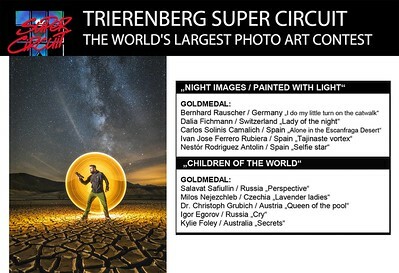 Trierenberg SuperCircuit 2017, medalla de Oro. 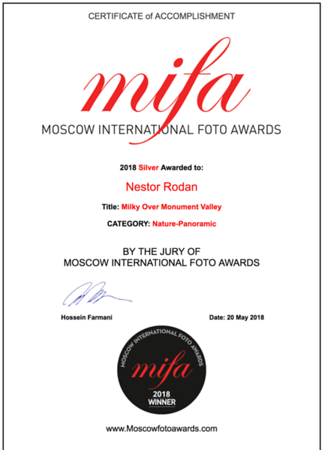 Victory Photo Serbia Awards2016, Medalla de oro. 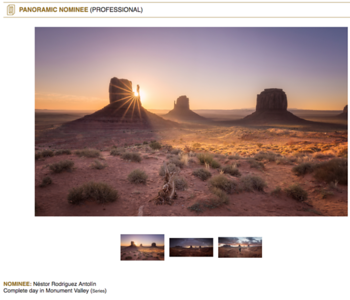 ND Awards 2017 Honorable Mention. 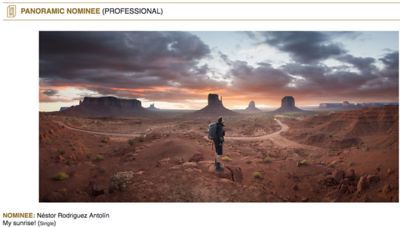 Professional Category. 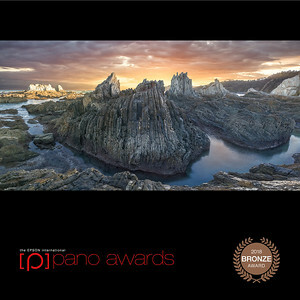 Fine Art Photography Awards 2017, Honorable Mention. 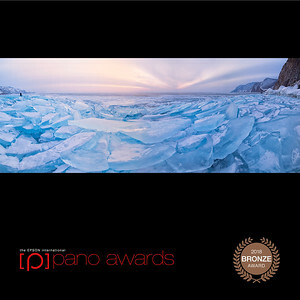 Professional Category. 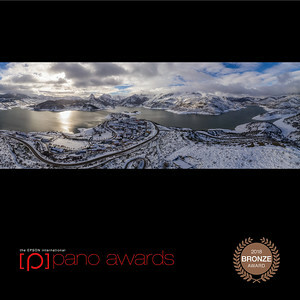 Siena International Photo awards 2017. 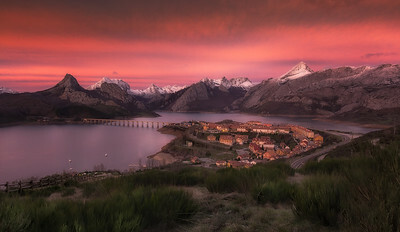 Finalista. 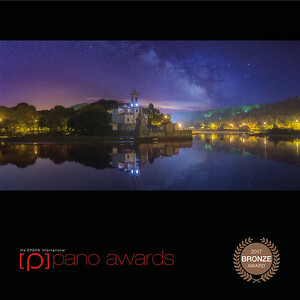 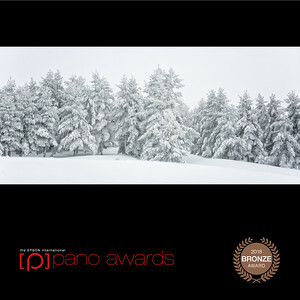 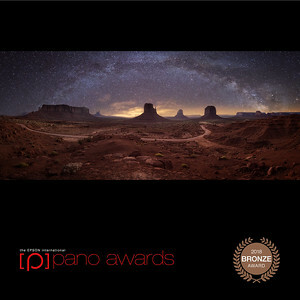 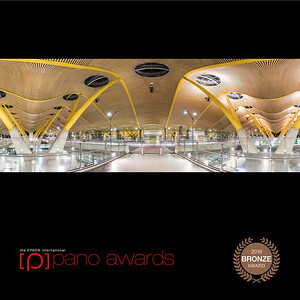 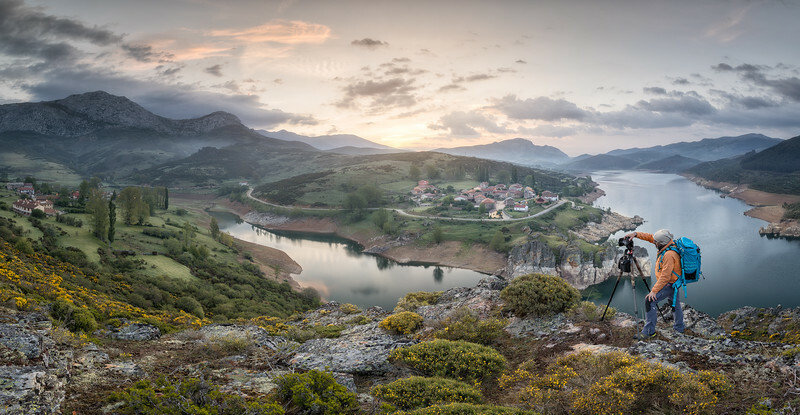 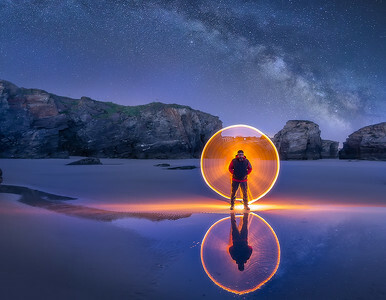 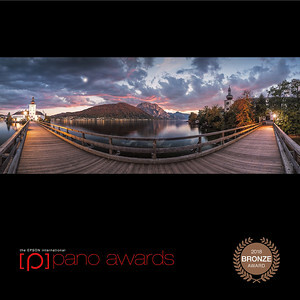 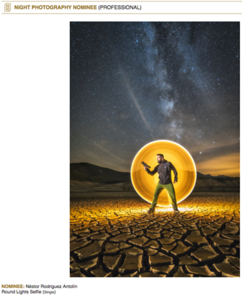 Epson Pano Awards 2016, medalla de plata. 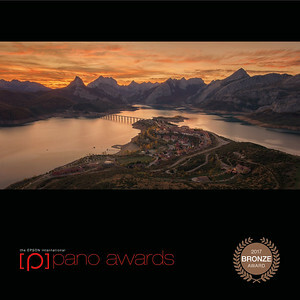 International Photo Awards 2016 , medalla de plata. 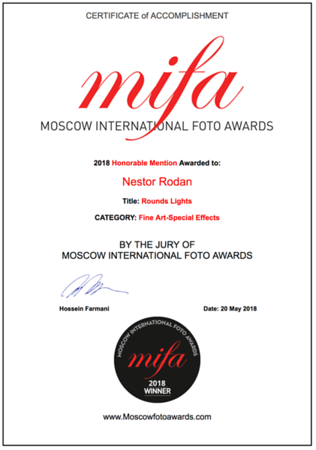 Fine Art Photography Awards 2016, medalla de plata. 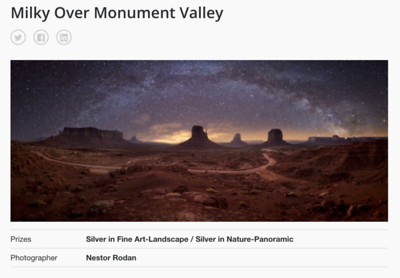 Nd Awards 2016, Honorable mention. 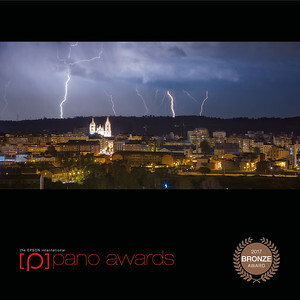 Victory Photo Serbia Awards 2016, Medalla de oro. Perasto Photo 2016, Medalla de plata. 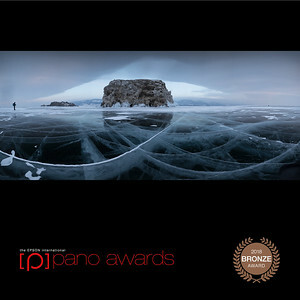 International Photo Awards 2015, medalla de plata.